Premium Mints: Shepard Fairy and Aaron Huey presents "Protect the Sacred"
Shepard Fairy and Aaron Huey presents "Protect the Sacred"
On sale Tuesday, November 11th between 10am and 12pm noon PST. 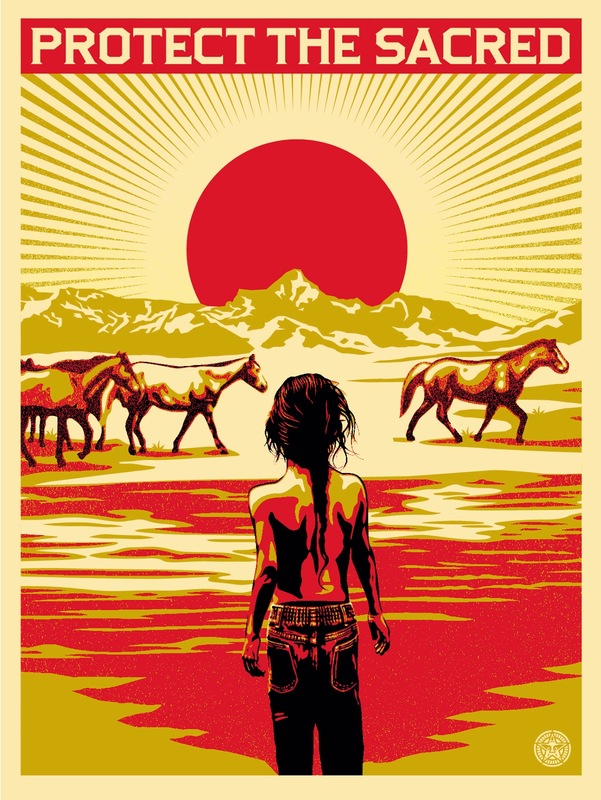 Proceeds from this print go to fund the “Honor The Treaties” awareness campaign. Image based on a Photograph by Aaron Huey.